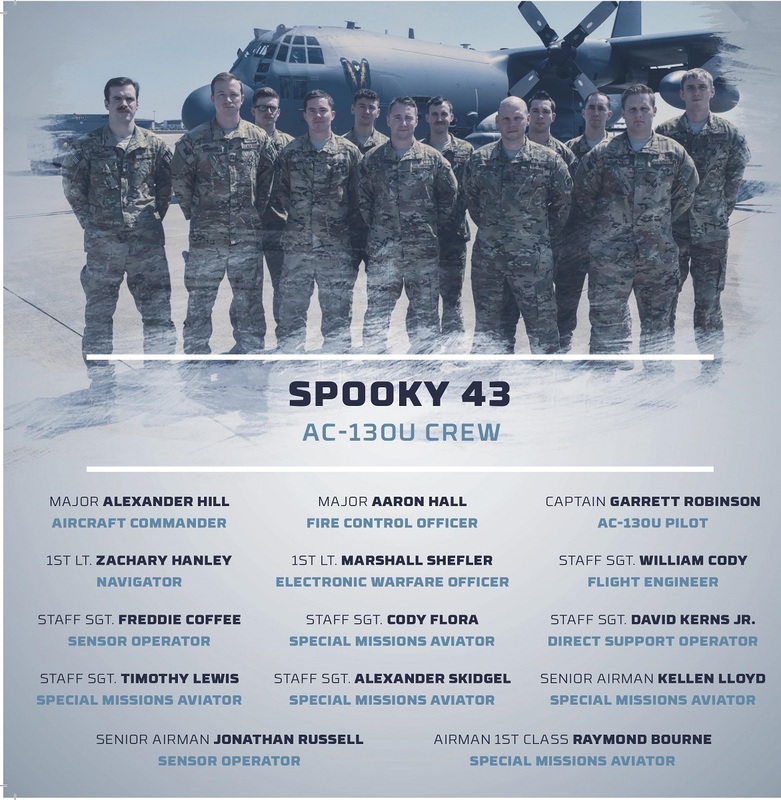 On Nov. 2, 2016, the aircrew of a U.S. Air Force (USAF) AC-130U Gunship (call sign “Spooky 43”) was tasked to provide close air support (CAS) to a U.S. Special Forces team and 43 Afghan soldiers, near Kunduz, Afghanistan. As the ground force advanced on a compound, they were caught in a deadly ambush. Surrounded by a large enemy force armed with small arms, heavy machine guns and grenades fighting from multiple defensive fighting positions, friendly forces sustained 16 casualties in the opening moments of battle. According to an Air Force Special Operations Command news release, as the enemy rapidly converged on the crippled friendly forces, the combat controller urgently cleared the fourteen crewmembers of the gunship to engage within ten meters of injured friendly forces, attacking massing insurgents and structures. As a result, U.S. Special Forces were able to clear their wounded from the immediate kill zone. But the ambush persisted as friendly forces attempted withdrawal. For this reason Spooky 43 had to conduct 19 danger close attacks, consistently placing lethal fires to within ten meters of the severely wounded and outgunned friendly force. The firepower necessary to deter the enemy required the crew to exceed cooling requirements on the 105 mm Howitzer cannon, risking potential detonation inside the aircraft. The crew managed the temperature of the Howitzer while continuing the firefight with the 40 mm cannon, despite multiple weapon malfunctions. Expert coordination enabled the crew to manually fire rounds to defeat the enemy. 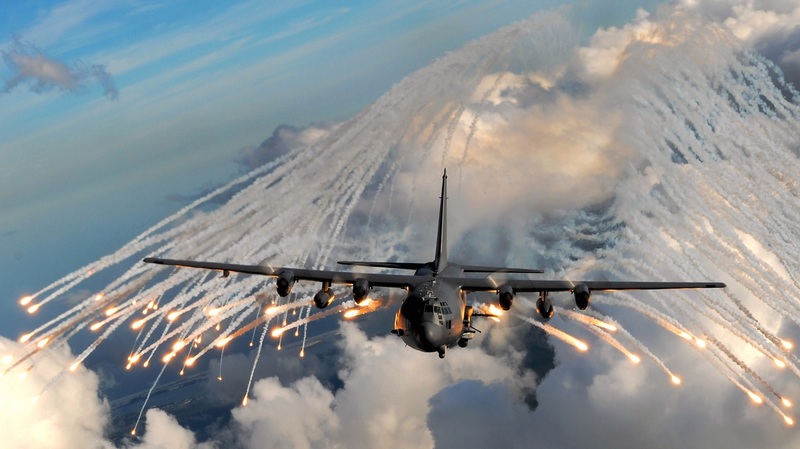 The AC-130U expended all point-detonate fused 105-mm rounds, and only eight airburst fused rounds remained. This munition is designed to be employed on personnel in open areas, hundreds of meters from friendly forces. With an enemy element closing fast, the crew stabilized the aircraft and fired the airburst round an unprecedented 12 meters from friendly forces, annihilating the insurgents with a solitary shot. 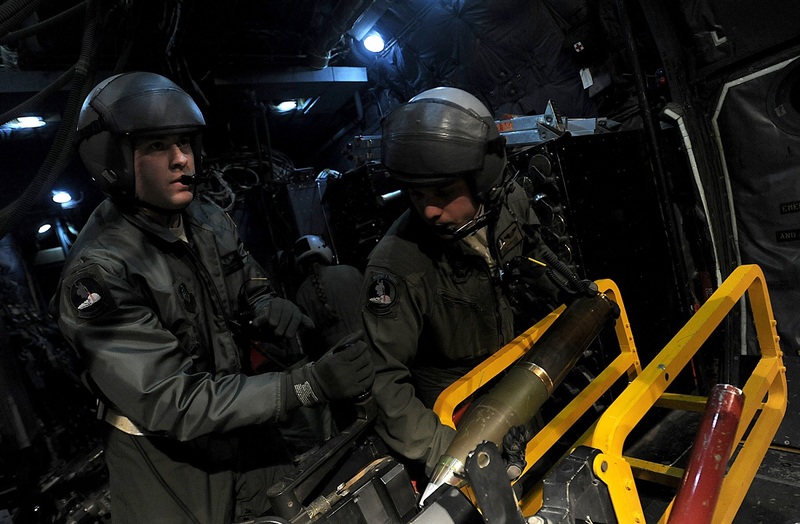 Airmen from the 4th Special Operations Squadron load a 105mm gun aboard an AC-130U Spooky during a training mission at Hurlburt Field, Fla.
During the battle, the aircrew facilitated additional fire support from AH-64 Apache helicopters, prepared medical helicopters to evacuate casualties, and launched a Quick Reaction Force (QRF) to help evacuate the ground force from the city. Then, with minimal ammunition and fuel, the team led a dissimilar formation engagement between AC-130U and AH-64 assets to amplify damage on the enemy. The AC-130U gunship crew’s persistent fire support, presence of mind, and courage during two hours of intense combat ultimately saved 50 lives. The crew was awarded the MacKay Trophy for the most meritorious flight of the year by an Air Force aircrew. In addition, five crewmembers were nominated for a Distinguished Flying Cross with Valor while the remaining crewmembers were submitted for Air Medals with Valor.